A new grant from the National Science Foundation (NSF) will fund operation of the Global Environment for Network Innovations (GENI) virtual laboratory for the next two years and support researchers in planning a new infrastructure to replace GENI. The NSF allocated $1.7 million to the effort, called Enabling NeTwork Research and the Evolution of a Next Generation Midscale Research Infrastructure (ENTeR). The project will be jointly led by researchers from the Renaissance Computing Institute (RENCI) of the University of North Carolina at Chapel Hill and their collaborators from the University of Kentucky (UK). For the past decade, GENI has provided critical resources that researchers and students across the U.S. use to develop and test networks and distributed applications at scale on a connected system that is separate from the Internet. RENCI was one of the institutions that played a critical role in developing and deploying GENI. Ilya Baldin, director of Network Research and Infrastructure at RENCI. Researchers using GENI have published more than 370 scientific papers on a broad range of experiments, including testing new or emerging network protocols, developing ways to transport data such as videos more efficiently and answering scientific questions in fields from biology to astronomy. GENI has also provided a resource for teaching classes about distributed computer systems and allowed students to use and experiment with real networks that they built themselves. With the new funding, researchers will explore what parts of GENI could be relevant in the next-generation testbed and how to incorporate future computational models into the infrastructure. They are looking toward building a testbed with the ability to perform computations in both centralized and distributed clouds as well as within the network itself. Although it is difficult to predict all possible uses of the next-generation testbed, it might help researchers to examine emerging problems such as how to ensure security for internet-connected devices from cars to home appliances. It could also serve the science community by providing an experimental environment for processing large amounts of data quickly, allowing scientists to get to answers faster and reducing time to discovery. The new project also introduces a new operational approach for GENI. Until now, GENI Project Office housed at BBN/Raytheon was charged with making budget decisions, directed the technical support efforts, ensured the system’s security and provided technical support to the community using GENI. With this new grant, control of GENI will be transitioned to RENCI and the University of Kentucky. 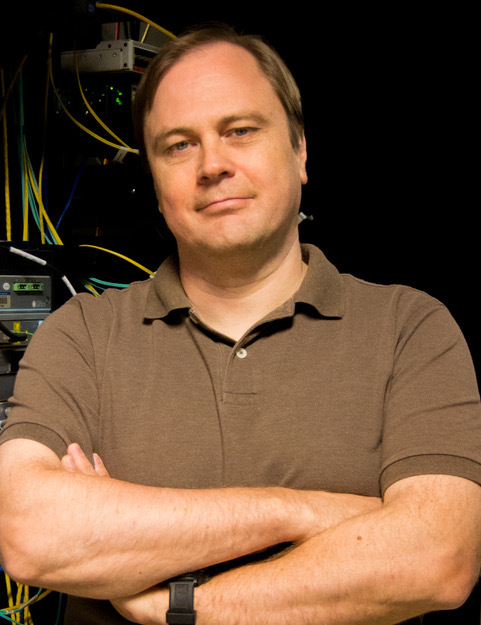 Subcontracts were also awarded to the University of Maryland, the University of Utah and Internet 2, a non-profit computer networking consortium.